Smartphones are all the rage today. Coming in different shapes, sizes, brands and prices, there is a wide variety of models already available today, and yet companies are still releasing new models to keep getting ahead in the competition. 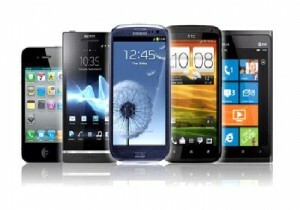 Everyone wants a smartphone, but it can be difficult because of the myriad of selections on the market. So, how to choose the right smartphone for you? Have a personal criteria. Are you a photo enthusiast or are you more of a gamer? Do you like touch a screen interface or are you more comfortable with hard buttons? Knowing what your needs are, as well as your preferences, can help you narrow down your choices. Other important factors to consider are the phone’s OS, features, battery life, and size. Consider the price range. Oftentimes, a phone’s price determines whether you can have it or not. You should think about how much you want to have a particular phone, and how long and how much you have to save for it. Don’t buy a model that’s clearly beyond your budget, but don’t buy a cheap one if it doesn’t have the functions you need either. Make a comparative list. Write a list of smartphone models that qualified to your set criteria and price range. You can search through the internet, browse in cell phone stores, or get reviews from your techie friends. Don’t limit yourself to well-known brands: many low-profile companies are also offering high-end quality smartphones at very reasonable prices. Check product reviews. Reading reviews of smartphones will give you a good idea on how the it works and whether it will fit your needs and lifestyle. This may be taxing, especially if you will be reviewing a good number of phones on your short list and you have to compare and contrast each one of them. But the more you know, the better you will be at making the right choice.